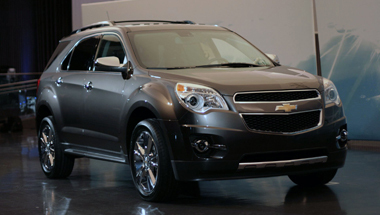 The Chevrolet Equinox was redesigned for 2010, and the second-generation model has been a resounding success. GM says that more than half of Equinox buyers have switched from non-GM brands, and that to keep up with demand, the company is retooling part of the plant to increase production capacity. The Chevrolet Equinox is a mid-size crossover SUV from Chevrolet based on GM's Theta unibody platform, manufactured at CAMI Automotive (formerly a GM/Suzuki joint venture, now wholly owned by GM) plant in Ingersoll, Ontario, Canada, and introduced in 2004 for the 2005 model year. There have been two Equinox generations. Earlier models were known for their roomy interiors and easy-driving nature, but they also suffered from substandard interior materials. The second-generation Equinox, thanks to its sharper styling, improved cabin fit and finish, additional features, and new engine choices, is a much-improved vehicle and a top pick for a small crossover SUV. 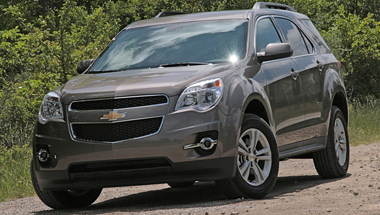 The 2011 Chevrolet Equinox comes with more standard equipment than the previous, but it is otherwise identical. Some people believe the second year of production is the sweet spot because they've ironed out all the bugs but it's still new. Equinox offers a choice of four-cylinder or V6 engines. The standard 2.4-liter four-cylinder uses direct injection for more power and better fuel economy. A front-wheel-drive Equinox gets an EPA-estimated 22/32 mpg City/Highway. Lots of sound insulation makes it quieter than most four-cylinders and it's a capable engine. The available 3.0-liter V6 is rated at 264 horsepower and 222 pound-feet of torque, but it is not felt to be much more powerful than the four-cylinder. The Equinox absorbs even sharp bumps without disrupting passenger comfort with either the standard 17-inch or available 18-inch wheels. Inside, the Equinox has an attractively designed interior. There are some nice Chevy Equinox Accessories, including ice blue ambient lighting, dual-zone automatic climate control, a hard-drive audio system, a dual-screen DVD entertainment system, and a power rear liftgate. The interior materials look and feel like hard plastic, though. Chevrolet says the Equinox interior was inspired by the interior of the successful Malibu midsize sedan. While that may be true when it comes to aesthetics, it's not true in terms of execution. 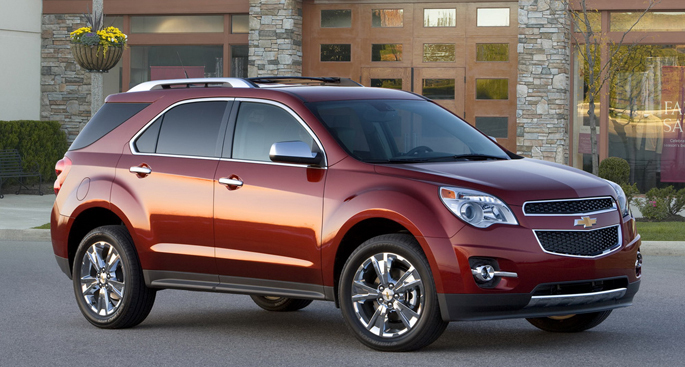 The Equinox lacks the Malibu's soft-touch surfaces and thoughtful flourishes of chrome trim. The ice blue ambient lighting is a delightful feature. It is standard on all models, but you get more as you go up the range. Equinox LS models have it on the center stack surround and in the center console cupholders. Equinox LT models add it on the instrument panel and center console, and the Equinox LTZ gets it in the door handle recesses, in the footwells and in the door map pockets. Equinox offers dual-zone automatic climate control, a hard-drive audio system and a dual-screen rear DVD entertainment system. The speedometer and tachometer feature white numbers and black backgrounds. The base interior has a storage cubby at the top of the center stack. When the navigation system is ordered, it sits in this spot. The controls on the center stack are grouped in a tight bunch, with the radio buttons up top and the climate controls at the bottom. With the navigation system, there are 43 buttons, dials and knobs. It's a bit less confusing without the navigation system, but it's going to take some getting used to. All of the controls are easy to reach, and the area is trimmed in a good-looking clear-coated silver-painted plastic.